MySpace Canada, together with Corus Entertainment’s ExploreMusic website are giving Canadian musicians a chance to be discovered with their new Found On Myspace monthly contest. We will get into the contest itself in a moment but first, here’s some perspective on the parties making it happen. 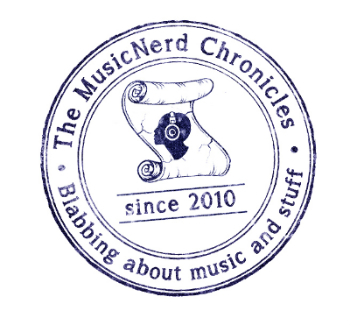 ExploreMusic (www.exploremusic.com) offers visitors to their website the opportunity to discover new music while also offering them a chance to catch up on the latest music news and opinions from around the world. The site was founded a year ago by Alan Cross, best known to music enthusiasts as the man behind the syndicated radio program The Ongoing History of New Music. That program has been wildly successful since its launch in 1993 on Toronto’s CFNY radio station (now known as The Edge). To date, the program has spawned four books and has seen more than 500 one-hour episodes of the program produced, making the feature one of the longest-running radio programs in North America. ExploreMusic’s parent company Corus is no stranger to the media business themselves. They are a veritable Canadian media giant and owner of TV channels such as YTV, Treehouse and CMT as well as owning radio stations from coast to coast. Myspace is a social networking site that is among the most popular in the world. Users of the service can post personal profiles, create user groups and post blogs and photos while also allowing bands the opportunity to promote their music. Under this newly launched joint venture between the two sites, musicians are invited to send submissions through Myspace Radio at www.myspace.com/radio. After a submission window of two weeks, the field of submissions will be narrowed down to five finalists, which are then voted upon by Myspace Canada members. Those bands lucky enough to reach this final stage of the contest then receive counsel and tips on how to engage their fans and build fan support. Once the voting stage has wrapped up and Myspace has tallied the votes, the winner then receives a showcase on the ExploreMusic website on the first Thursday of every month. While it used to be that record labels had the power to make and break artists, some of that power has now shifted to those making the music. Former major label artists like Nine Inch Nails are opting to self-release their product, with physical distribution being handled through major independent channels. This arrangement allows the group to release new product as often as they want, as opposed to having to schedule release within a larger umbrella of potential competition for record company promotional dollars. Perhaps not surprisingly, personnel at record labels and publishing companies are using the Internet and Myspace specifically to discover new talent. “Myspace is my primary source for checking out bands, whether I am just out ‘looking’ at bands or if a band wants to send me their demo,” confirms Jodie Ferneyhough, managing director of Universal Music Publishing Canada. Ferneyhough is a seasoned veteran of the Canadian Music business. It was more than 15 years ago that he started his career in band management before moving on to a position with peerMusic that ultimately led him to his current role. As recently as the early to mid 1990s, bands would have had no other choice but to communicate their band updates via a series of potentially harassing phone calls, faxes and (gasp!) snail mail. “Myspace allows me to hear what your band is doing, see your videos, get an idea who your fan base is, get a bio on the group, and see what kind of touring you are doing,” Ferneyhough says of the obvious benefit and importance of bands having an online presence. So if you think your band has what it takes to rise to the top, register your group at www.myspace.com/radio today!